An affordable hotel room at a great location? The hotel is located next to the A20 highway and Rotterdam The Hague Airport or Rotterdam City Centre is within 12 km from the hotel. Visit our bar and relax in our comfortable rooms with free WIFI. 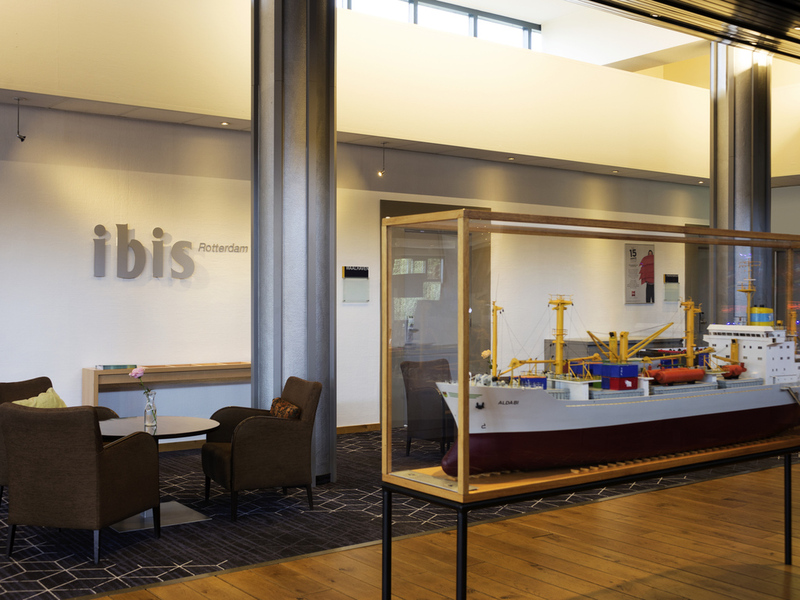 ibis Rotterdam Vlaardingen: close to the ports. In just 10 minutes you can be at the ports of Rotterdam, Rozenburg and Spijkenisse. The ship and repair yards of Schiedam are just around the corner. You can also be at Rotterdam/The Hague Airport within 15 minutes. And why not visit the Euromast? If you are taking the Stena Line ferry from the Hook of Holland, then stay the night before or even after your trip at our ibis hotel, where staff will be on hand to help you round-the-clock. Thanks to its location next to the A20, near junction A4 /A20, the hotel is perfectly located for all directions. The center of Rotterdam and Rotterdam The Hague Airport are just 3.7 miles (6 km) from the hotel, and Stena Line ferry 15.5 miles (25 km). 'It's all about TASTE', a new restaurant concept where international and Dutch cuisine come together. Try and enjoy our lovingly prepared dishes in a modern, welcoming atmosphere. Taste: It's simply about trying and enjoying.